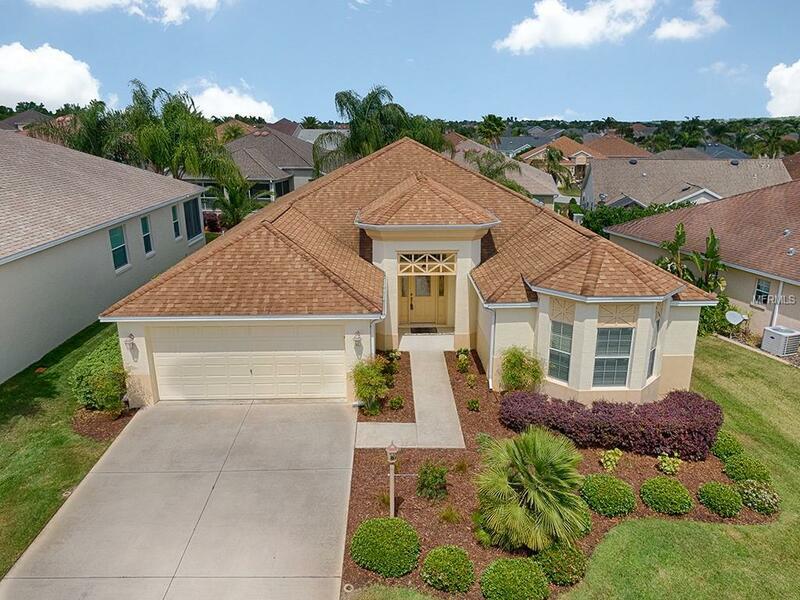 GORGEOUS EXPANDED 3/2 LANTANA w/LARGE ELEVATED LANAI plus PATIO conveniently located in the VILLAGE OF AMELIA. This home has nice curb appeal as you approach w/custom front entrance and leaded-glass door & sidelights. 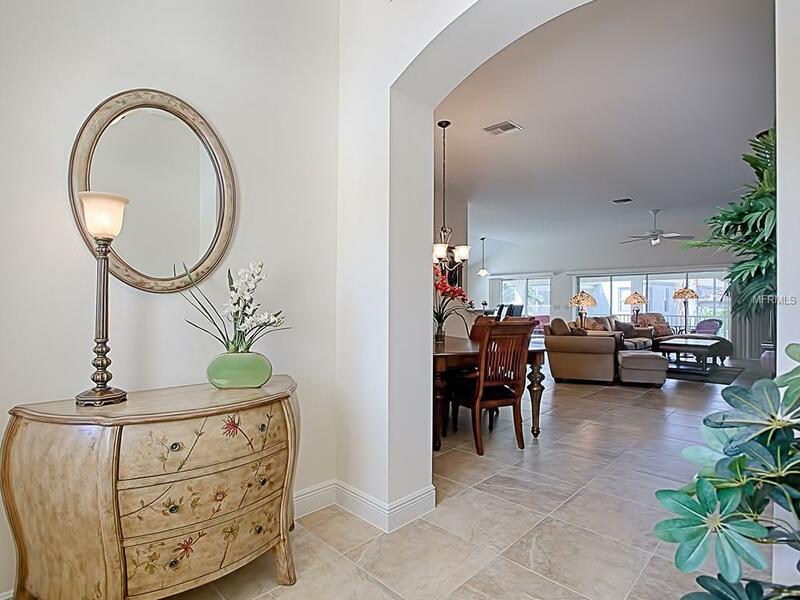 You will appreciate the LOVELY CERAMIC TILE throughout the foyer, living/dining rooms, kitchen, laundry room and baths. You'll find CARPET in the bedrooms. The OPEN kitchen features GRANITE counters, STAINLESS appliances with FRENCH DOOR refrigerator, smooth-top ELECTRIC range, large single sink, MAPLE cabinets w/crown molding, pull-out drawers, pantry closet and breakfast bar for casual meals. The casual dining area and the living room have STACK BACK SLIDING GLASS DOORS that open up the entire back of the home to the spacious 12' x 29' elevated lanai. It's a great way to expand your home to true outdoor living! 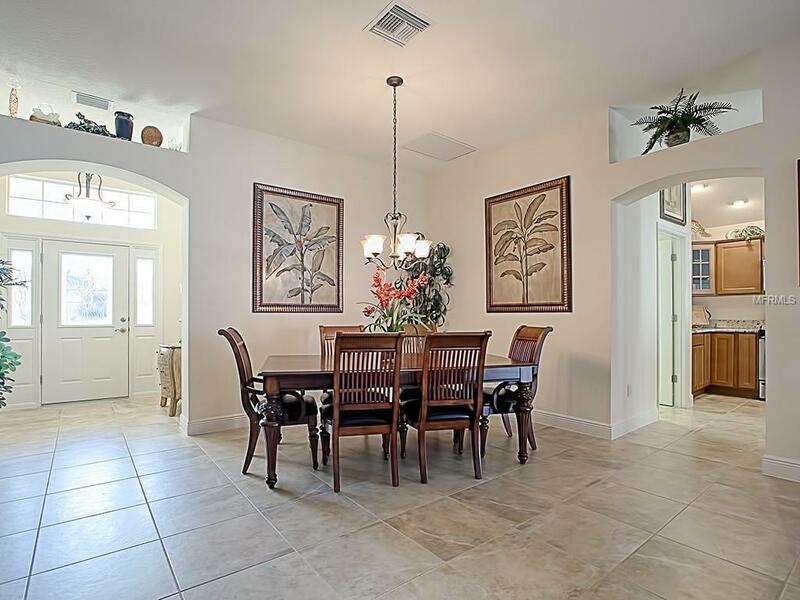 A great area to dine and entertain! 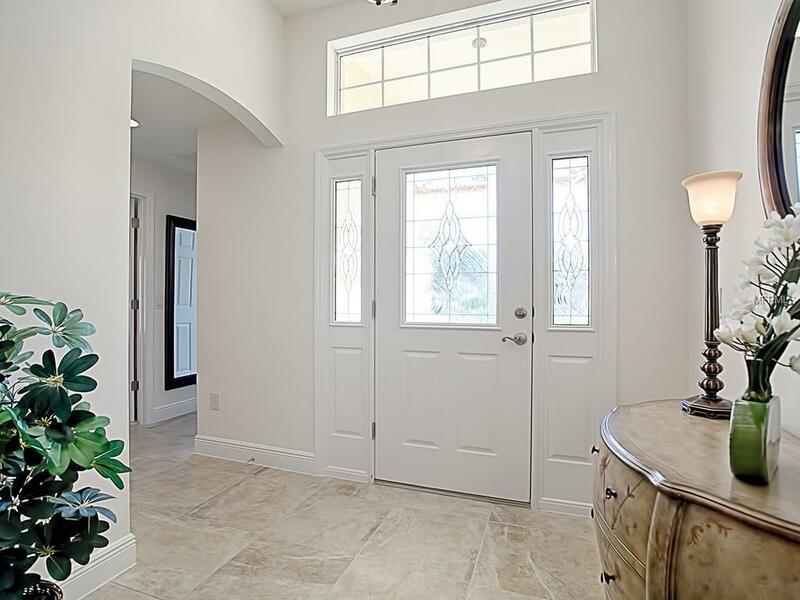 The master bedroom has a door that opens to the en suite bathroom w/large walk-in closet, GRANITE counters, linen closet and lovely tiled WALK-IN shower. The SPACIOUS front guest bedroom has a tray ceiling and bay window, while your second guest bedroom has vaulted ceiling ... BOTH with closets. The guest bath has GRANITE counters, tile surround tub/shower with a convenient linen closet in the hall. The EXPANDED 2-car garage has pull-down attic stairs and a set tub. This is an IMMACULATE, WELL MAINTAINED home just waiting for you. GREAT LOCATION TOO! YOU WONT BE DISAPPOINTED!